Music has always been a passion of mine whatever the genre, be it Black Sabbath or Mozart. I began as a drummer in my teens playing Pop through to playing bass and banjo in a successful Country Music band. I had a wonderful eight years with Springfield touring the UK and the continent culminating in the release of three albums. In 1987 I went back to the clubs and continued studio and session work, also setting up my own recording studio in 1995 which became popular – recording local artists and sequencing backing tracks. Up to 6 years ago I was still actually performing – in a heavy metal band! And it was wonderful. I guess the performer in me prompted this latest journey into radio presenting and would like to thank Elastic FM and the team here for giving me the opportunity to express and continue my love of music. Also, apart from painting in oils I have published several novels – one short story and a book on the history of Bolsover. There is no better feeling than creating something and being satisfied with the result. You can see my work at: stuarthaywood.com. My name is Paul Hibberd, I am married and live in Sheffield and work at a Sheffield Academy School. I am also a Mobile Disc Jockey, and have been since 1981. 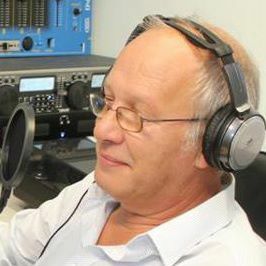 I have been involved with radio since leaving school. I started out assisting two presenters at Radio Hallam, scouring local record shops for songs and material to be used in their shows. In 1992, I was the Station Manager and presenter on PHANTAM AM, a RSL Country Music station, from which I was invited to join Radio Nightingale. In 2001 I moved to Sheffield Hospital Radio and still present a weekly show. 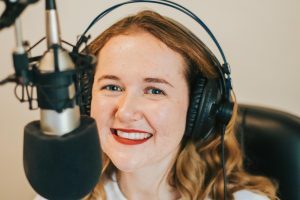 I joined Elastic FM in 2014 through my late step daughter, Kat Mayall’s enthusiasm with the station. 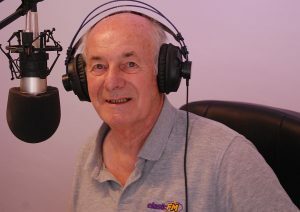 Kat was a Director and Presenter, and during a visit to see her presenting, I spoke to Roger Neale and put forward my idea for Pops the Question ,a weekly pop music quiz show, which has now been running several years. the decades on my show. I hope you enjoy my show every Saturday from 9 am till 12 noon here on Elastic FM think I bring sanity to the show! I am ambitious and can sometimes get me into trouble but I won’t back down from a challenge. I love being part of the EFM family and hope I have many years with them. Well that’s enough from me. Bye! 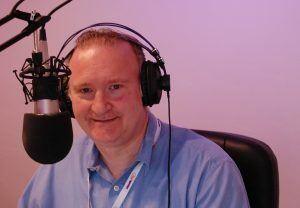 Having served time in the entertainment industry by playing in a band in the pubs and clubs of the 1970s and 1980s and by working the odd disco since then, Martin Graham joined ElasticFM as a presenter in the summer of 2012 where he still retains his late Sunday evening (9pm – 11pm) slot. 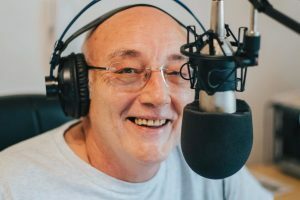 Strongly influenced by the the likes of AM radio with John Peel, Bob Harris and Annie Nightingale, Martin’s playlist includes a wide variety of genres such as metal, rock, indie, blues, rock’n’roll, punk, soft rock, folk rock and reggae. The trademark two hour Sunday evening show, “The Sunday Night Rockery”, is intended to “lull the audience into a peaceful frame of mind, ready to face another week of work”. 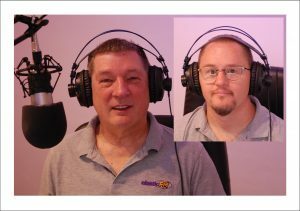 William, who has Down’s Syndrome, joined the show a few years ago and he works hard not only behind the scenes by keeping the show on track but also by adding the odd – usually amusing – comment or two. 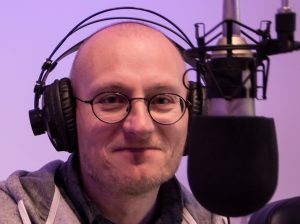 I have always loved music and for the past 20 years took an active interest in health and wellbeing, so what better way to combine both, than in my own health radio show? My Dad used to pretend to be an opera singer in front of the hall mirror when I was young. I love attending and listening to opera music to this day. Some years ago, I was married to an extraordinarily good bass player, and I managed the band he played in for a while.  We travelled the UK and Europe gigging. I managed to get them in for 3 years running within the summer programme at the National Theatre, Festival Hall, and theyalso played at Wembley and Glastonbury. Based in London, it was difficult to get gigs, and so we created our own music venue and had musicians from all over the world come and join us every month. Having experienced 4 episodes of cancer and cured myself of a kidney disease I was born with, I now mentor people on how to recover from cancer and to be proactive, taking responsibility for their own health journey. I am a Master Wellness Coach and Business Psychologist. My radio show on ElasticFM combines guest interviews,health guidance and signposting, with great music, but then I would say that, wouldn’t I?! I began working at the age of just 15 for Mather and Platt Ltd in Manchester. By the age of 28 I was Chief Draughtsman. In 1968 I moved to Australia with my wife and son working in various Draughtsman positions and to the position of Works Engineer where I designed a £2m factory extension. 1972 saw us all return to the UK. The company relocated to the south and I was settled where I was so left and became a delivery agent for Securicor. After finally retiring we moved to Anglesey where we lived for 11 and I became a member of the RNLI at the local Life Boat Station. Both my wife and I suffered from ill health so we moved to Shuttlewood near Bolsover where sadly she died in 2016. I first became involved with Elastic FM in November of 2016 and have presented my afternoon show ‘My Kind Of Music’ since then. The team here are very much like a second family for me and are very supportive and I enjoy every minute. Each week along with news and local events, I give out two recipes which have become very popular with my listeners. 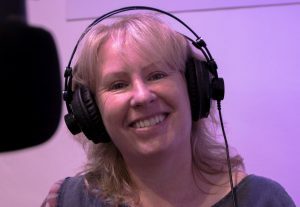 Sharron – A local lass from Chesterfield with a partner and teenage son, juggling life!In order to relax at weekends, I’m a drummer in a local 80’s band called “Groundhog Days”. We are a five piece band and play all over the East Midlands covering bands like Duran Duran, Spandau Ballet, Erasure and Police to name but a few. We try to have fun along the way as music is all about memories and if we can take you back down memory lane we will… I’m also a firm advocate of education; completing a degree with The Open University in Social Policy and Criminology later in life, to support my day job in Social Welfare. My partner and I also enjoy running to keep fit as it’s a cheap and quick way to keep the old ticker working. You only need a decent pair of running shoes and you’re away. I try to run with Simon a few times a week but don’t always manage it as family and work life often gets in the way. I hope you will enjoy my weekly show which I co-present with Craig Darran. It airs on Sunday evenings between 7-9pm as it’s all about 80’s – Look out for “Groundhog 80s”. Craig – Brought up in South Normanton, I have played guitar since the age of seventeen. For most of the eighties and nineties, I played guitar in a “poppy punk” band called “The Apocalypse Babys”. Whilst I was with them, I played all over the U.K. And Europe, as well as recording several singles, EP’s and albums. During the long recording sessions I became interested in how the recording process worked and I completed a sound engineering course, which came in useful as I ended up engineering and producing several of the band’s album sessions. Despite leaving the band and joining a local covers band, I have played on many Apocalypse Babys recording sessions during the last fifteen years or so.I enjoy all kinds of music from The Beatles to Nirvana and pretty much everything in between…punk, blues, hard rock, folk, pop and metal…good music is good music!I now play lead guitar in “Groundhog Days” alongside Sharron Shepherd who is the drummer. We host the “Groundhog 80s” weekly show on Sunday evenings between 7-9 pm. Apart from music, I have worked in a local authority environmental health team for nearly twenty years. In my spare time, I enjoy movies and would describe myself as a film buff and complete Star Wars nerd! Hello! Im Alex, 5ft3 and a professional napper. Breakfast is my favourite meal of the day. As a Leo I am a born entertainer. I have been doing amateur dramatics in my local theatre since I was 9 years old. I stumbled across the wonderful being of John J Steemson in the month of September 2018. Since then Radio has become a new love of mine and Saturday mornings have never been the same. I am a people person and forever getting involved in new and interesting activities. Outside of acting and presenting I have an office job I adore. I am a spreadsheet fanatic because someone has to be! Always on the look out for new adventures because chaos is life!